This article was originally published January 2, 2001 on our old traincity.com site. I actually did write it. My circumstances were different then. I was repairing trains at the time. This was about the time we were developing choochooauctions.com. At any rate, I read it for the first time since then and it is fairly informative if you are interested in learning more about Lionel train repair. It is also a little humorous if you like that sort of thing. I hope this is helpful and maybe entertaining to you! 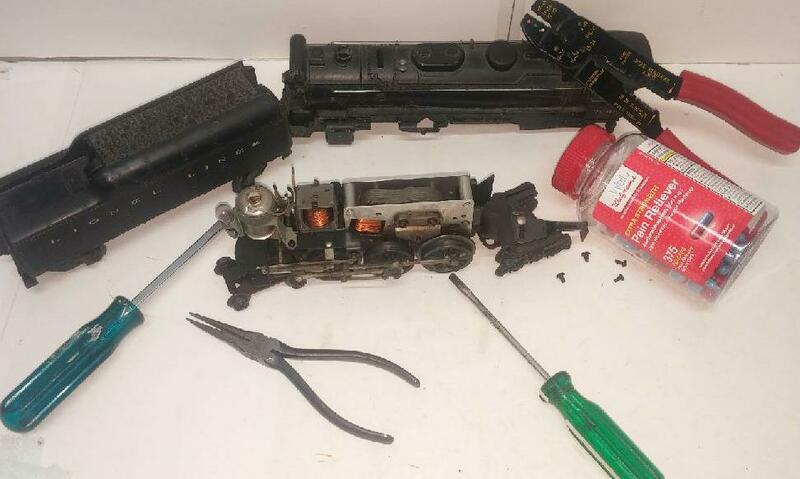 Don't gamble your train collection away! OK so I received this letter the other day which was addressed to myself and two other people whom I had never heard of. This letter started out pretty badly. The letter went into detail about this poor guy’s trials and tribulations dealing with another company. Useless nonsense that you need not know about Train City, Inc. Train City once forced a family of five out of their house into the streets. Well not exactly. The business actually started out as a coin shop in Erie, PA. Coins take up a lot less room so the store was originally the garage that attached to the house. Plenty of room for coins! 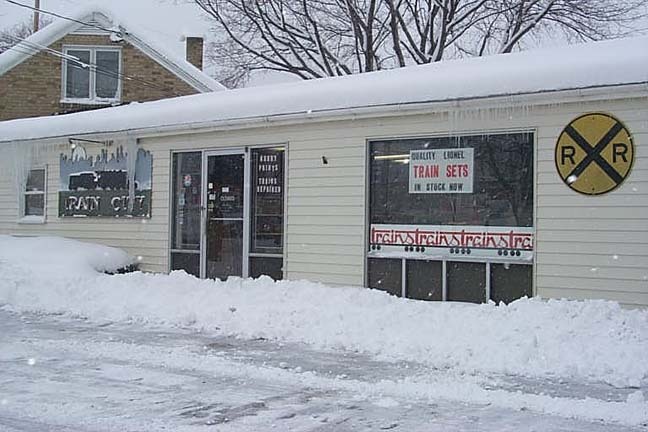 The original store was small and train inventory was expanding. 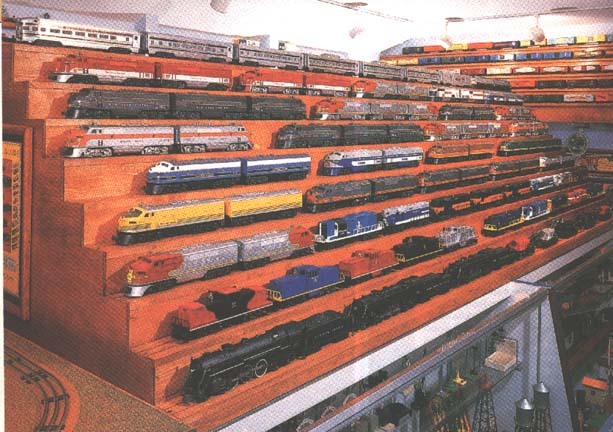 Once the kitchen started to get filled up with boxes of trains that is when the Siegel family decided it was time to look for another house to live in. They did! New Shopping Cart System. This will be different! So we finally made it. We got our new web site up and I think you will like it a lot. 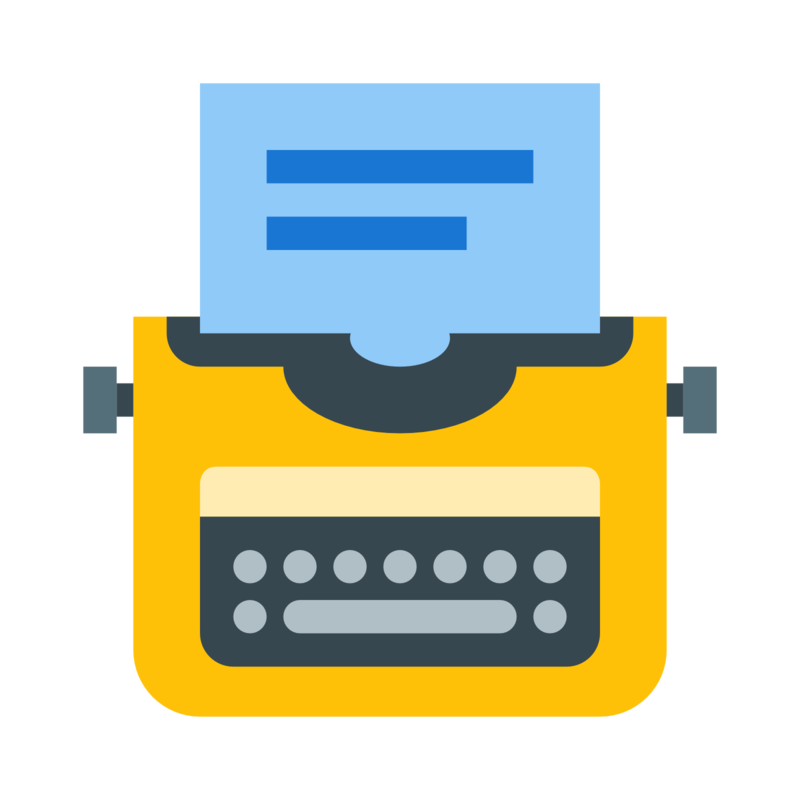 Much simpler to navigate and the information is much more relevant. 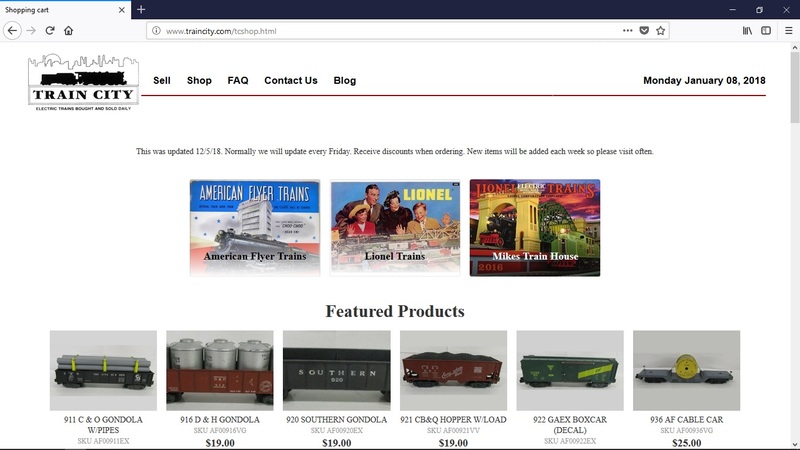 We are now in the process of entwining this blog with both traincity.com and choochooauctions.com which should be completed soon. A great feature of our new web site is our shopping cart. Our old shopping cart had a lot to be desired to say the least. This one features pictures, and is much better organized. Our first post on the new traincity.com site should open with some information to you about how we do business that we have never discussed before. We are housed in a 3000 square foot warehouse which is a perfect size. 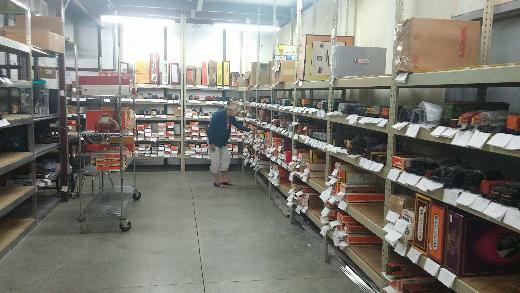 The section you are looking at in the picture is part of the section where we maintain auction inventory. Everything is recorded in our data where it is located. Without this system it would be mass confusion! That is Robin picking an order which is really at the end of the process of an auction.